I pre-booked a Samsung Galaxy Note 10.1 a couple of weeks back I just received it yesterday. Having read the preview I knew what to expect, but still the excitement was building up, I felt like a kid before Christmas day. 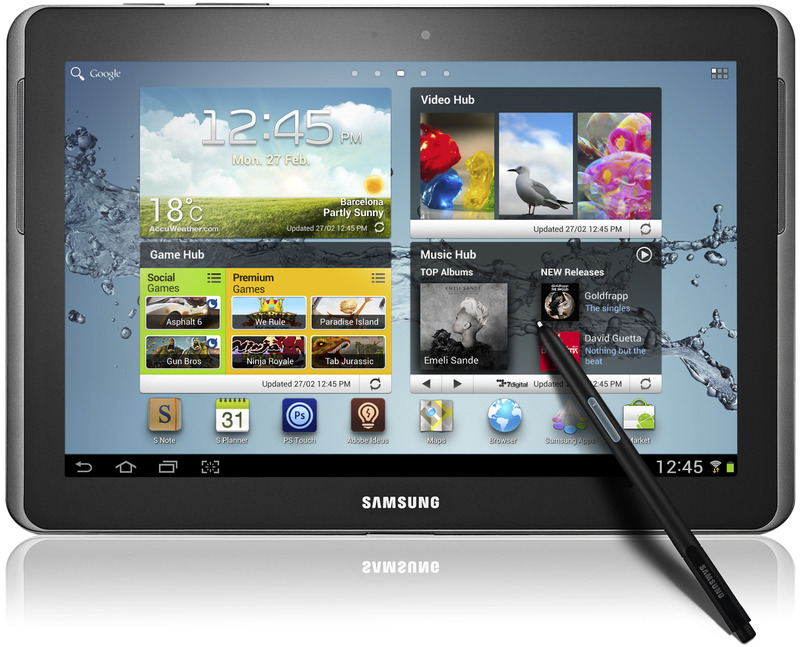 Most of my gadgets are Samsung and Samsung Galaxy Note 10.1, looks like the perfect replacement for my old Galaxy Tab 2. What got me all exited in the first place is the S-Pen is lighter and thinner at the grip. I am an architect designer and am constantly using pencil and paper to sketch down designs, now with the Galaxy Note 10.1 it is possible to sketch rough designs and edit the sketch and save all my sketches in a folder and it is sent directly to my PC and laptop. Android Ice Cream Sandwich Android 4.0, OS. 5 MP Primary Camera 5 Megapixels. With the Galaxy Note 10.1, Samsung has put together a well built and sturdy Android tablet; it is like any other high-end Android tablet available in the market today. What makes the Galaxy Note extra special is the pressure-sensitive stylus. Now with the pressure-sensitive stylus Samsung Galaxy Note 10.1 is without doubt the best gadget available for artists, graphic designers, architects and fashion designers alike. The S Pen is handy for taking down quick notes and for writing and storing articles. This is the closest pen on paper experience you would get digitally. To produce and edit documents using the S Pen is pretty much like using a PC, it is so easy and it certainly is a better option for my finger. Samsung could certainly have done better with the display and body work, other tablets that have the same price range ( iPad 3 and Asus Transformer) are more sleek and better to look at. The Galaxy Note’s 1280 x 800 LCD is alright could have been better. The rear camera is 5 Megapixels and does a good job recording HD videos and taking pictures, not much to talk about the standard secondary camera that is 1.9 Megapixels. There are two speakers (facing front) which gives out amazing sound quality and is good for watching movies without headphones. The interface of the S Note is not exactly user friendly for users who haven’t used the Samsung Galaxy Tab 2. To get the hang of it you need to use the user’s guide to figure out the numerous functions available. The split screen option and the multitasking feature are new. The productivity application lets you to multitask between two apps on a split screen the same as using windows on a PC. The Samsung Galaxy Note 10.1 is defiantly unique with the pressure-sensitive stylus. Take of the pressure-sensitive stylus and the Samsung Galaxy Note 10.1 is like any other high end Tablet.